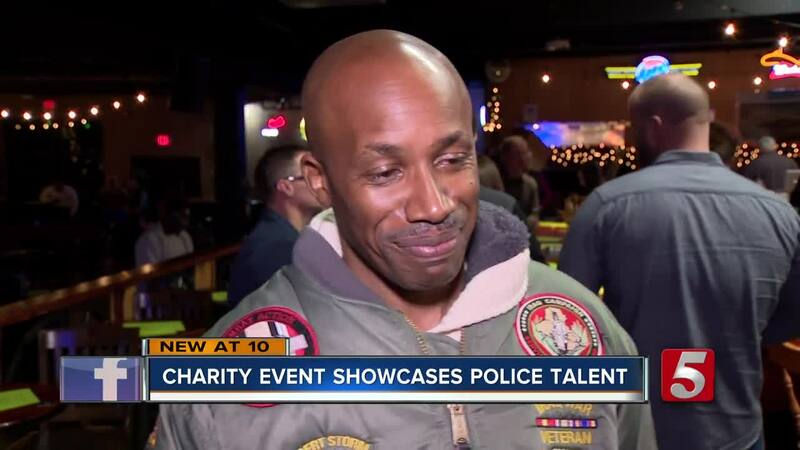 For its 12th year, the Metro Nashville Police Department held an event to showcase its officers' talents to raise money for an organization that helps victims of crime. Dozens of people attended the Law Enforcement Talent Showcase at Nashville Palace on Tuesday to watch several police officers sing. West Precinct Commander Marlene Pardue has organized the event since its inception in 2007. She said the event raised money for a special cause. "All of the money that we make for this goes to the Nashville Children's Alliance which is an organization in Nashville that does work with children who have been physically and sexually abused, so it's really important," Pardue told NewsChannel 5. Among the talents excited to take the stage was Calvin Graham, an officer with MNPD for 20 years. Singing has been a part of his life growing up and has helped him with his job and time serving in the Navy and now the Army. "We had a lot of casualties overseas during missions so I listened to a lot of gospel music when I got to my tent and base and it kept me focused," Graham said. "God Bless The USA" singer Lee Greenwood was also the surprise guest. Aside from the talent show, there was a silent auction with more than 250 items. More than $150,000 dollars has been raised over the past 11 years for charities that support victims of crime.